This tutorial shows you how to install Terrarium TV on Firestick (or any other Android). To complete this process, we use any other Android or iOS device. There’s a great little app called CetusPlay ( Android | iOS ) that has its own “App center”. 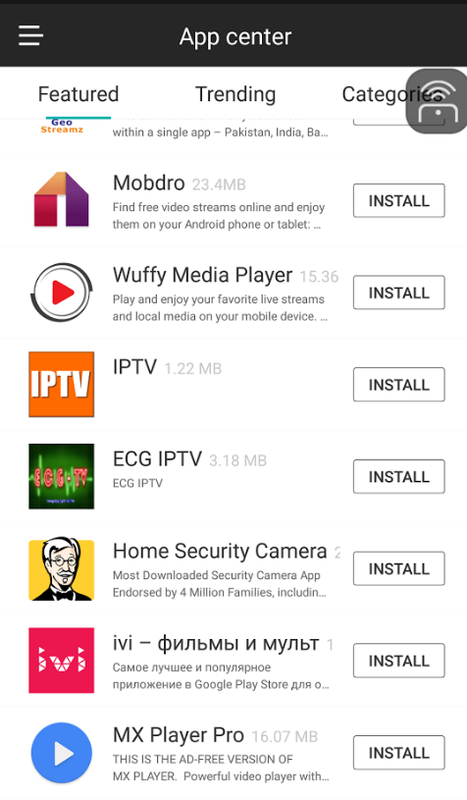 This App center contains 1-click Install buttons for most of the best streaming apps, like Kodi and Terrarium TV. CetusPlay app center – see? We can install Terrarium TV in just a few minutes using CetusPlay for Android or iOS. Follow the steps below to do it yourself! ProTip: You can even Download movies with Terrarium TV. Scroll to the bottom of the page to see how to download movies with Terrarium TV for Firestick. 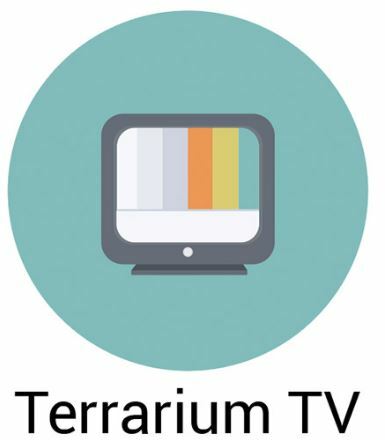 Terrarium TV is an Android app that gathers media from various sources around the web. Then Terrarium TV indexes all that media (video files, mostly) and presents the list of media to you. Notice: The nature of Terrarium TV’s sources is unknown. Therefore, we strongly recommend you use a Secure VPN when watching Terrarium TV to hide your IP address. The way Terrarium TV works is similar to Kodi. So, it can be said that Terrarium TV is a Kodi alternative. In fact, it’s one of the best Kodi alternatives. Movies and TV Shows. Lots and lots of Movies and TV shows. It’s amazing. And Terrarium TV was made for non-touchscreen devices (like Firestick). So using the Fire TV remote to control Terrarium TV is intuitive and easy. Variety of TV shows to stream, with several categories. 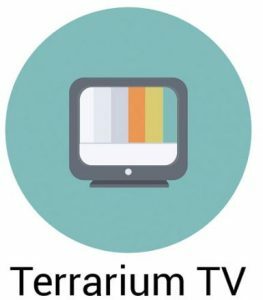 Terrarium TV has not only the ability to Play streams, but also Download the file to your Firestick / Fire TV (or any Android device). Terrarium TV even has a Download Manager screen (accessible from the Terrarium main menu under “Downloads”). Your Firestick / Fire TV and your Android phone / tablet must be on the same WiFi network for this to work. Now look at the TV / monitor that’s connected to your Firestick. You should see a 4-digit passcode on the screen. Enter this 4-digit passcode into your Android phone. Your Android phone is now connected to your Firestick via the CetusPlay app! Now we easily install Terrarium TV on Firestick by using the CetusPlay app on our Android device. Press the CetusPlay main menu button, which is in the top left corner of the CetusPlay app on your Android smartphone or tablet. In the CetusPlay app’s main menu, press App Center. From the list of apps in the app center, find Terrarium TV. Then press “Install” next to Terrarium TV. Wait a minute while the Firestick / Fire TV installs Terrarium TV. You should see the “Terrarium TV installing..” notification as it installs. Your Firestick will pop up a window saysing “Terrarium TV – Do you want to install this application?”. Press “Next” or “Yes” when you see this to continue installing Terrarium TV on Firestick. When TerrariumTV is finished installing, the Firestick will say “App installed“. Press “Done” in the bottom of this screen using the Firestick remote. After you install MX Player, continue to the next section to start streaming movies & TV shows with Terrarium TV on Firestick / Fire TV. You’re almost done! Using Terrarium TV is pretty intuitive. You can use the Fire TV remote to navigate through the Terrarium TV menus, choose a movie, and finally select a Source to start watching instantly. After MX Player is finished installing (from the last steps of the previous section), return to the Firestick / Fire TV home screen. 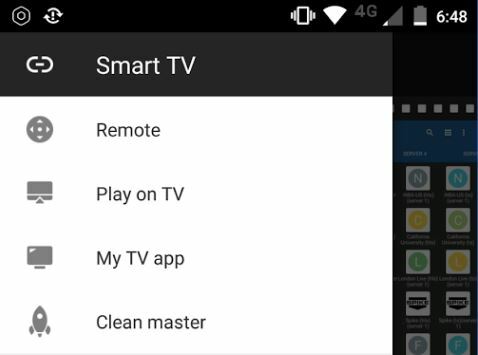 Then find Terrarium TV under “Apps” and select the Terrarium TV icon using the Fire TV remote. Terrarium TV now launches on the Firestick. If Terrarium TV pops up an “Update Required” message box, select “Update” using the Fire TV remote. Wait for Terrarium TV to update itself. Also, if at any time Terrarium TV pops up a window asking you for “Consent”, select the “No, Stop” checkbox. Then select “Confirm” to get rid of the popup. You’re now ready to use Terrarium TV! 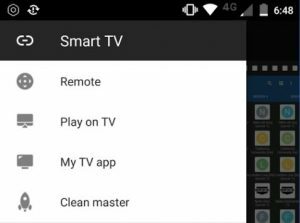 In case Terrarium TV closed after the self-update, then re-launch Terrarium TV by finding its icon in your Fire TV home screen under “Apps” and selecting the icon with the Center button on the Fire TV remote. After Terrarium TV launches, the “Changelog” screen appears. Press “OK” to get rid of it. Then the “Disclaimer” screen appears. Read and accept the disclaimer if you want to actually use Terrarium TV. Now select a media item from the Terrarium TV home screen. After you select a movie or TV show episode, Terrarium TV displays a list of Sources (such as “HQ”, just like Kodi!). Important: Set up the Firestick VPN app to hide your identity while streaming. Which Devices Run Terrarium TV? Android devices (smartphones and tablets, like my Samsung Galaxy S6) definitely support Terrarium TV, since Terrarium TV is actually an Android app that we’re “sideloading” to Firestick. So, Terrarium TV should work just fine on all Amazon Fire Sticks and Fire TVs (and most likely even Amazon Fire tablets!). Using this method, you can use Terrarium TV to actually download movie files to a USB thumb drive or external hard drive. This doesn’t work on Firestick, since Firestick has no USB ports. But this does work on the actual Fire TV box and Android TV Boxes. * Advisory: Downloading movies with Terrarium TV can be illegal if you Download copyrighted movies. * Tip: Use a VPN when streaming or downloading anything to Hide your IP address and secure your data. Plug an external hard drive or USB thumb drive into your device. Press the Terrarium TV main menu button in the top left corner of the Terrarium TV screen. Then select “Settings“. This takes you into the Terrarium TV settings menu. From the “Settings” screen, scroll down to the “Download” section. You’ll see “Choose default download manager” and “Media download path”. Then select the two dots (“..“) a few times, until the file window is at “/storage”. Now select your thumb drive / external hard drive, which is usually named USB02. Then select the “OK” button on your screen to finish selecting the new download destination. Now, when you select a movie or TV show in Terrarium TV, instead of pressing “Play”, select Download. 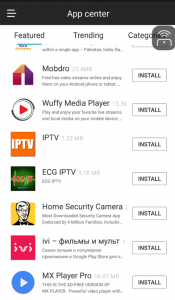 Terrarium TV will download the file to your external storage device! You can monitor the download progress in the “Downloads” area under Terrarium TV’s main menu. Watch the movie / TV show later using any Video player app for Android / iOS (such as MX Player!). Terrarium TV MX Player not installed error? If you’re seeing this error, then either MX Player is not actually installed. OR your Firestick / Fire TV simply isn’t “seeing” the MX Player app. Launch the CetusPlay app, which we installed in the previous steps on this page. From the CetusPlay app, select the main menu button (three lines in the top left corner of the CetusPlay app). 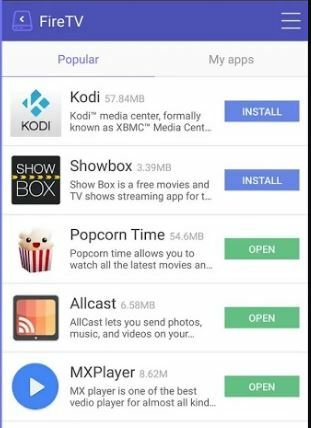 From the “App center” list of apps, find MX Player Pro. Select the “INSTALL” button next to MX Player Pro. When your Firestick or Fire TV displays a screen saying “Do you want to install this application?”, select “Install” or “Yes”. Wait for MX Player to install on Firestick. When it’s done, return to the Firestick homescreen. 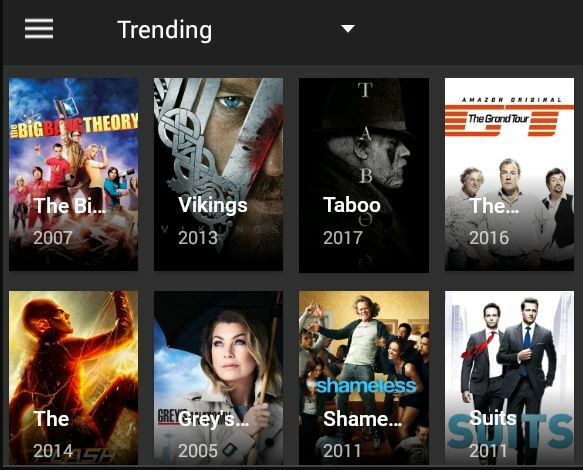 Then find Terrarium TV under “Apps” and select its icon with the Center button on the Firestick app to launch TerrariumTV. Here’s a link to the Terrarium TV APK file (aka “installer file”), in case you want to just transfer the APK to your Firestick to install Terrarium TV. Or you can sideload Terrarium TV to Firestick using Apps2Fire (Free in Amazon app store), or use the steps at the top of this page to install Terrarium TV on Firestick with CetusPlay. this information is priceless, you are so helpful, thanks a million.